It remains both the largest series of armoured clashes, including the Battle of Prokhorovka, and the costliest single day of aerial warfare to date. It was the last strategic offensive the Germans were able to mount in the east. 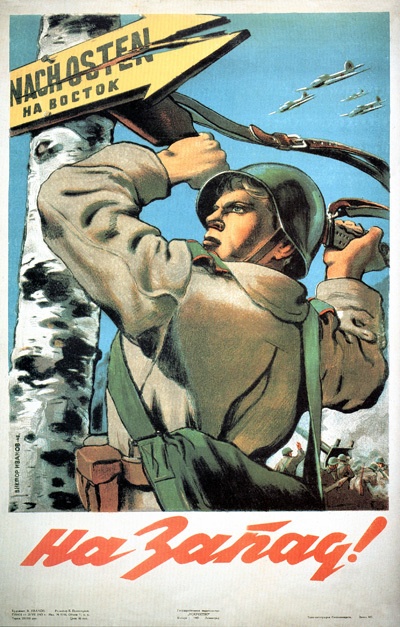 The resulting decisive Soviet victory gave the Red Army the strategic initiative for the rest of the war. 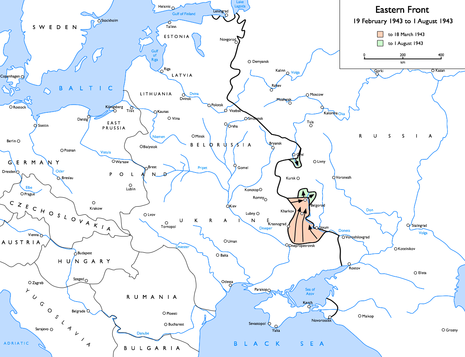 The Germans hoped to shorten their lines by eliminating the Kursk salient (also known as the Kursk bulge), created in the aftermath of their defeat at the Battle of Stalingrad. They envisioned pincers breaking through its northern and southern flanks to achieve yet another great encirclement of Red Army forces. However, the Soviets had excellent intelligence of Hitler's intentions. This and repeated German delays to wait for new weapons, mainly Tiger and Panther tanks, gave the Red Army time to construct elaborate, layered defenses and position large reserve forces for a strategic counterattack. In the winter and spring of 1943, after their terrible defeat in Stalingrad, clearly outnumbered and losing the initiative in the eastern front, Hitler and the German High Command were asking themselves what to do next, in the summer of 1943. The situation was bad not only in the war front. While Russian tank production increased to unbelievable levels, the German obsession for complex new super weapons, like the advanced but then immature Panther and Tiger tanks, largely reduced German tank production. General Guderian, the best German armor expert and commander, said "As interesting as these designs were, the practical result was just a reduced production of the Panzer 4, our only efficient tank then, to a very modest level.". 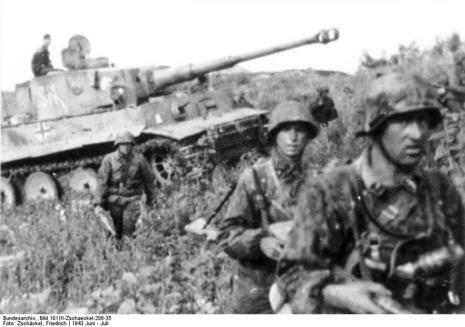 Shortly before the battle of Kursk Guderian added, about the Panther and its crews, "They are simply not ready yet for the front". In early 1943 the Germans were about to destroy their own tank production rates by terminating Panzer 4 production in return for a production of just 25 new Tigers per month, but at a moment of reason Hitler gave control of tank production to Guderian who stopped this idea.